Imran Khan’s message on 23rd March 2013 at a huge gathering in Mina-e-Pakistan Park, Lahore has helped him rally support in Pakistan’s major cities. Some people estimate that up to 150,000 people packed into the park in downtown Lahore on 23/3, despite periods of lighting and driving rain. Lahore is the capital of Punjab, the country’s most populous province and the main battleground in determining which party wins enough seats in the National Assembly to form the next government. 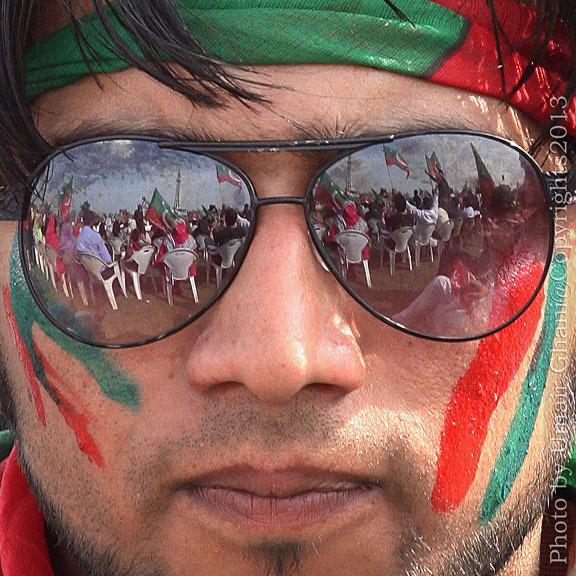 People of Pakistan are mobilized for a change. The sickness of rotten system of government is evident on their faces. Yesterday, it was overshadowed by first strong whiff of fresh breeze at Pakistan Tehreek-e-Insaaf’s massive gathering at Minar-e-Pakistan, Lahore. Party led by Imran Khan is still vacillating between love of people and tug of war at the echelons of power. Where PTI lands, no one is quite sure yet. But, last day’s gathering was certainly a vote of no confidence against existing political system of Pakistan. 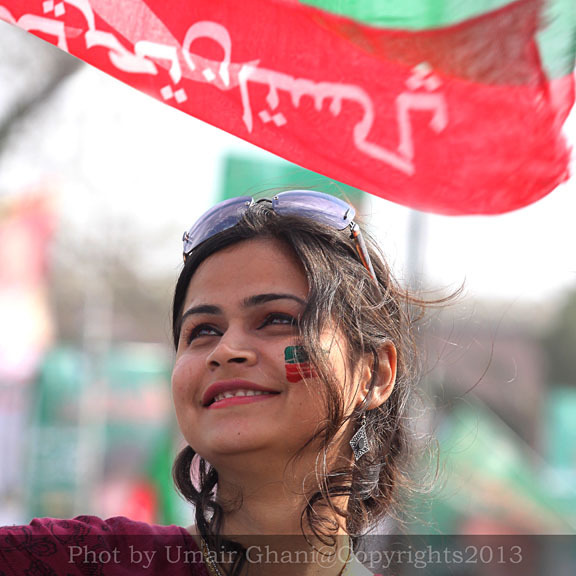 — at PTI 23 March 2013, Minar-e-Pakistan, Lahore, Pakistan. 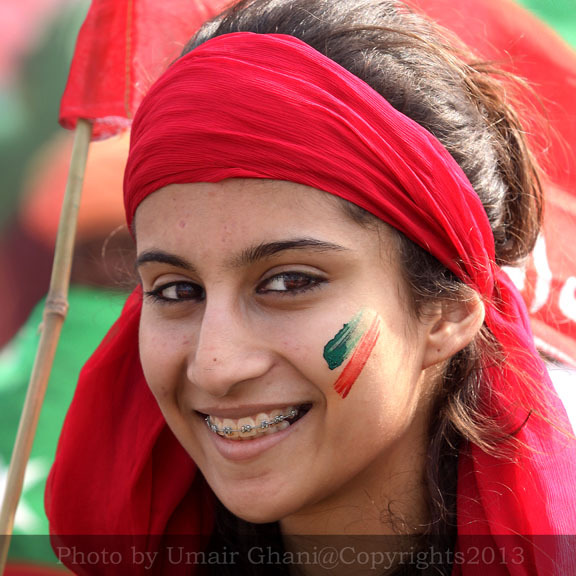 A smiling Pakistan, that’s what we Insafians are endevouring. Previous PostFaces of Change, not Change of Faces!